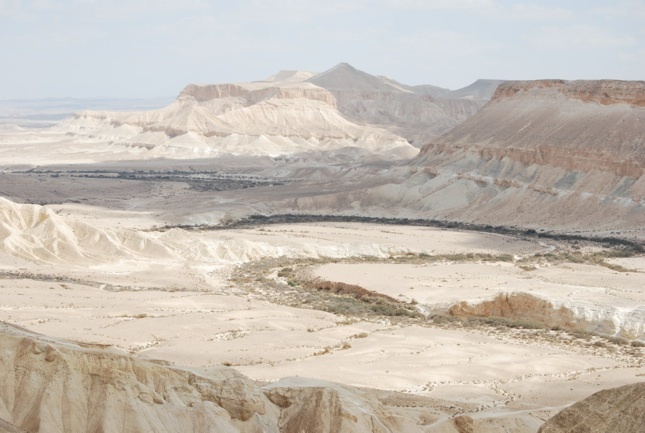 Melanie found herself in a barren desert—literally and figuratively— with only the Lord to rely on. In this season of yearning for familiarity and home, she began to question her understanding of who God was and is. It seemed the Lord had driven her into the desert to experience true need. Finally empty-handed, she would have to choose. Would she accept His invitation, empty herself, and draw from the only Source of true provision? “Daily struggles as a cultural outsider, full-time graduate student, and new mom tested my long-held beliefs. Could I trust the Lord’s current leading? Life-shattering losses forced me to stand at the crossroads in every desert and choose to walk by faith or by sight. Will I ever feel whole again? Do I believe God is who He says He is? Living in a culture that champions self-sufficiency, it is easy to forget the One who sustains us. In a culture where many may find a conventional Sunday morning experience less than relevant to personal struggles, it is vital that we explore timeless truths and Biblical mysteries together. a new perspective of the Truth that was, and is, and is to come. To read about the author, click here. 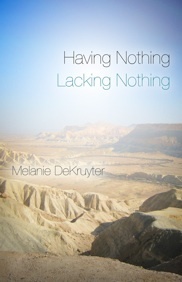 Take a moment to buy your own copy of Having Nothing, Lacking Nothing. enjoy a special rate of $11.95. Consider giving the book to a friend. The honest questions about God’s ways in a broken world are timely and timeless, and may resonate with the heart of someone you know. Proceeds are currently going toward a new Bible geography curriculum which Melanie is presently fine tuning with the help of some friends. To learn more about the excellent short- and long-term study programs at our alma mater JUC, go to www.juc.edu .